Technavio has announced the top five leading vendors in their recent global mooring systems market report. This research report also lists eight other prominent vendors that are expected to impact the market during the forecast period. The Alaska Division of Oil and Gas awarded more than six offshore oil fields in the Cook Inlet under the state's bidding round during 2015. These offshore oil fields were given to AIX Energy, Hilcorp Alaska, and Woodstone Resources on lease basis for more than nine years. Moreover, the Bahamian House of Assembly reviewed the new Petroleum Bill, which was designed to guide the next phase of oil and natural gas exploration around coastal islands during 2015. According to the report, companies, such as Balltech and SBM Offshore, have a highly integrated value chain. These companies offer mooring systems with planning, technologies, design, components, and services to the offshore oil and gas industry. “Novel players, such as African Maritime Services are likely to invest in the industry due to the growing innovation in the mooring system sector. However, high investment is involved in the development of infrastructure for offshore mooring systems. 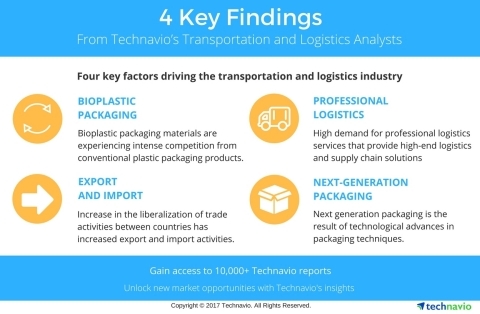 In addition, the lack of technical knowledge of inexperienced players will hamper the growth of the sector during the forecast period,” says Shakti Jakhar, a lead logistics research analyst from Technavio. Balltec provides pioneering innovation in taper and ball technology for use in pipeline recovery systems, heavy lifting applications, and mooring connections, primarily in offshore environments. The world’s first ball and taper device for oil and gas application was designed in 1983, which was followed by the weld-less mechanical pipe connector in 1986. Delmar Systems is a prominent provider of mooring system services to the offshore oil and gas industry, including conventional catenary, insert and extension wire mooring, suction anchor. It also provides innovative mooring designs and solutions. The company developed a suction anchor system that requires only one anchor handling vessel (AHV) and subsea connector, which can be disconnected for both permanent and temporary installations. MODEC is a general contractor that specializes in the procurement, engineering, installation, and construction of floating production systems, such as Floating Storage and Offloading (FSO) vessels, and FPSO vessels. The company has regional offices in Australia, Angola, Brazil, Belgium, Indonesia, Ghana, Ivory Coast, Mexico, Singapore, Nigeria, Thailand, Vietnam, and the US. Offspring International specializes in equipment for offloading, control, and mooring systems to optimize terminal operations of both onshore and offshore activities. The company offers integrated supply of equipment for SPM and CBM buoy mooring, breakaway couplings, PLEM autonomous shutdown valve technology, and hoses combined with a comprehensive terminal monitoring and management system. SBM Offshore provides various floating production solutions to the offshore energy industry, which operates over the full product life-cycle. Its main activities are the supply, design, operation, installation, and the life extension of FPSO vessels. These are either operated or owned by the company and leased to its clients, which is on a turnkey sale basis.